For the on-the-road travel ready mom who desires utmost comfort for their kids anywhere in a stroller, the GB Evoq Travel System Stroller is undoubtedly the best option. This GB Evoq Stroller reviews will show you why I think the stroller is worth having. 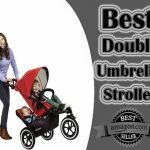 Out of the box, the stroller looks fantastic and boasts a 4-in-1 design that is very convenient. The GB Evoq Stroller can be purchased as a stroller, or as a travel system with the GB Asana Car Seat. The GB Asana car seat fits right into place in my car. Setting up the stroller took me just about 5 mins and was as easy as click, click and click. 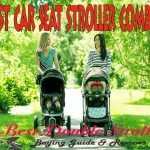 In the same vein, moving the car seat from the stroller to the car is a breeze; your baby would never wake up. The stroller looks sturdy, to say the least, yet it isn’t heavy – weighing just 23 lbs. 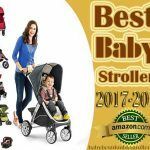 Its weight is far less than the weight of one of its rivals which I tested, the Baby Jogger City Select stroller. The GB Evoq Stroller can carry babies weighing up to 50 lbs. The accompanying Asana car seat can carry babies with weights of up to 35 lbs. Beneath the seats on the stroller is a huge storage basket that can contain virtually anything you put in it. The only problem I have with that basket is the cross bar from the rear. It limits the access space from the rear and can make removal of big bags in the basket difficult. There is a 5-points adjustable harness with an easy to operate buckle that locks your kid in place. Your kids would master how to use the buckle in a short time so, it’s important for you to be on the lookout. The recline function on the stroller helps provide more comfort for your baby, while the handlebars adjust to give you the desired control. By the side of the handlebar is a cup holder that comes in handy. Moreover, you can easily lock the wheels in place when you need to do so using the foot brake. Why I choose the GB Evoq Travel System Stroller. 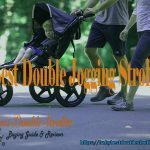 1 Why I choose the GB Evoq Travel System Stroller. 2 What I do not like about the GB Evoq Stroller. It’s easy to use; set up and folding is as simple as ABC. It’s lightweight yet strong enough to carry two. 4 different facing modes are available. Inbuilt glider board for your older child who may become tired of walking. The canopy on the GB Evoq is one of the best I’ve seen. Also, it is also equipped with a zipper that allows you to extend the canopy further if the need arises. What I do not like about the GB Evoq Stroller. The size, in general, is quite bulky and if you have a small car, you’d surely notice this. However, when folded, it fits into the car’s trunk nicely. There’s no suspension system for the wheels, so you might feel the roughness of the road on your hand, and this might compromise the comfort of the baby. The cross bar over the basket from the rear side hampers the free movement of items in and out of the basket. 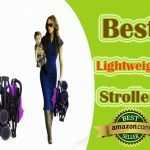 The GB Evoq Stroller may not be the most luxurious stroller in the market, however, it does what the others can for a lesser price. A sleekly designed stroller with a sturdy frame is hard to come by.